I've been fortunate enough to move to a wonderful Wake Forest neighborhood and live next door to a wonderful couple. Last year I enjoyed the veggies and fruits of Ed's garden and jokingly asked him if he could help me with one of my own. 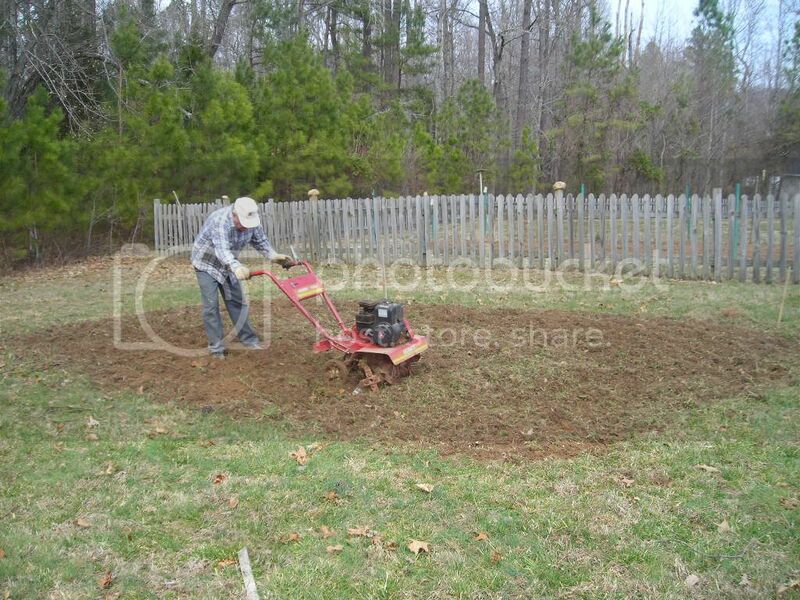 A few days ago I heard something in the backyard and there is Ed beginning the tilling of the area we had chorded off for my very own garden. I can't tell you how excited I am! 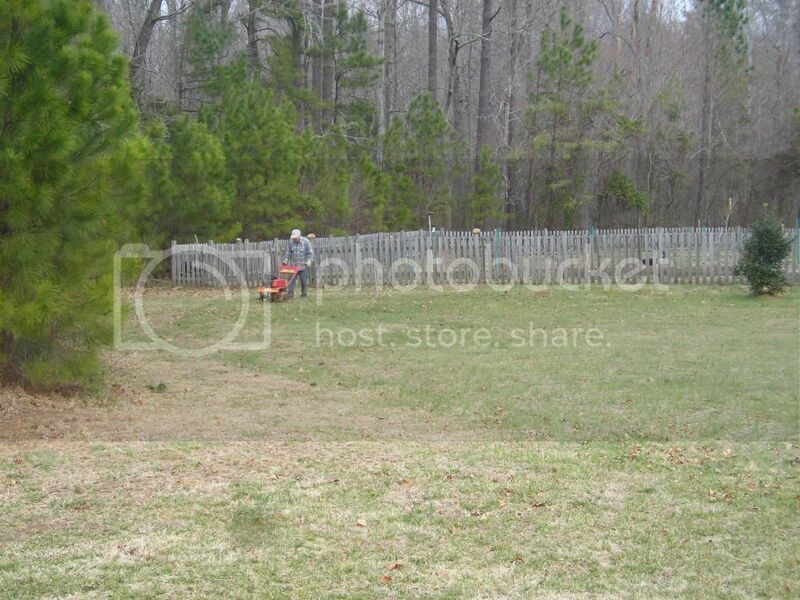 We 'broke ground' so now we will get the fencing up . . another tilling and it's time to start planting. This is probably a silly thread but I would love to hear about your vegetable garden. With the Florida chill and toll it took on the tomatoes it will be nice to have ones of our own. A friendly neighbor with a tiller! How fortunate you are! We're holding off a little bit on our planting. We usually don't plant seeds but buy established plants. Your garden is huge, too. You'll LOVE it! Last edited by lovebrentwood; 03-14-2010 at 07:36 PM.. Prepare to be demoralized. Even if you are successful at getting the soil into condition that supports vegetable growth, the deer will eat everything but your basil. Which, I might add, will grow to the size of a yew bush. You'll then make the most of it and freeze 5 gallons of pesto. By december, you'll never be able to stand the taste of basil again. Fantastic, you will really love your garden once you see your seedlings pop through the ground and start to mature, food grown at home is far superior to that grown by traders because of the loving care and attention it gets, it also tastes much more enjoyable too, if you have space to plant a variety of different vegetables make sure you listen to and take the advice about plant pests and remedies to administer from those in the know in your area as planting certain plants interspersed with herbs, beside each other often deters certain aphids from ruining your future meals, advice that will save you a lot of frustration and heartbreak in the future.. there is nothing so enjoyable as cooking a meal and inviting your friends round so that you can casually mention to them its all from your own garden, I hope this little post has qualified me for a free meal in the summertime when those taters are ready. That is fantastic. I am very jealous. I would kill to have that kind of space to work with. You will have so much fun this spring / summer. You mentioned you are putting a fence up right? Good, that should keep the deer and rabbits away. I'm working with a small square foot garden I made last year. 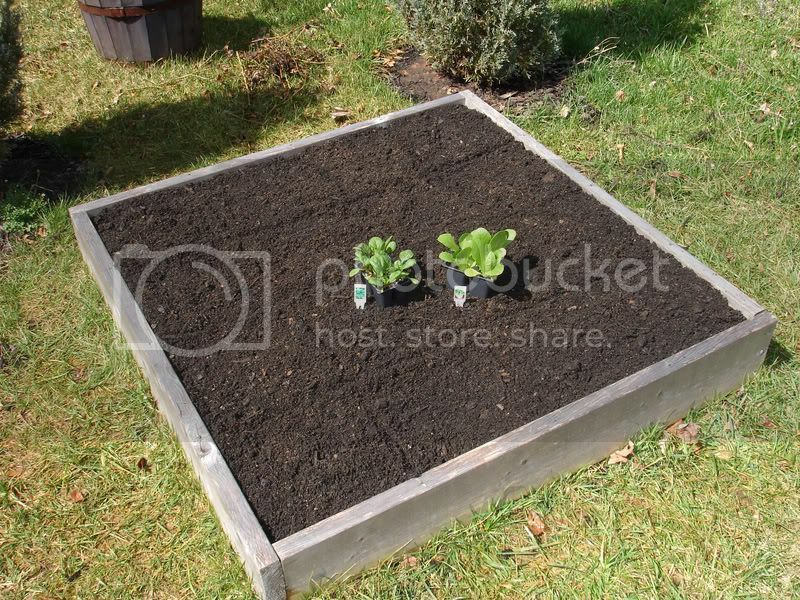 I just planted some cool weather crops this weekend and added some Espoma Garden Tone Organic fertilizer. Leafy greens like lettuce, spinach, broccoli, cabbage ect. can be grown now. For tomatos, peppers, herbs, ect.. wait until after the last frost (usually Tax day April 15). 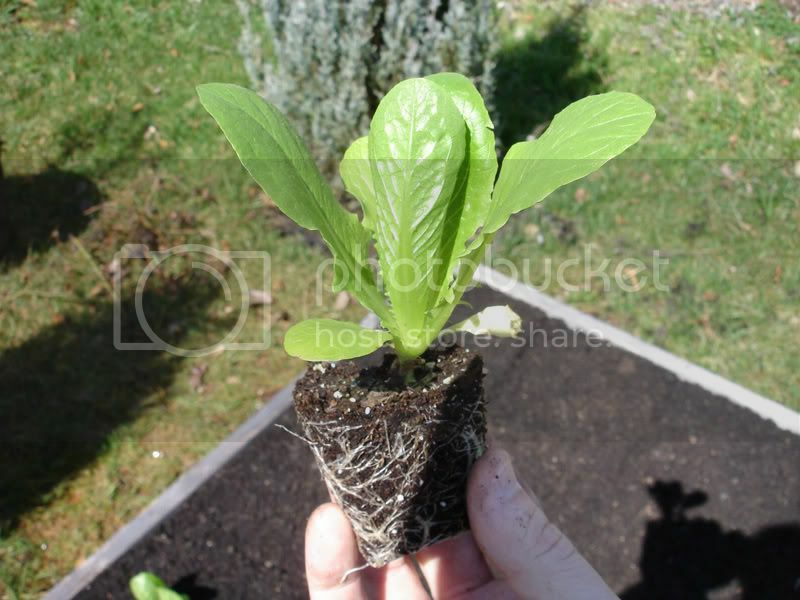 Right now I have lettuce and spinach in the garden. 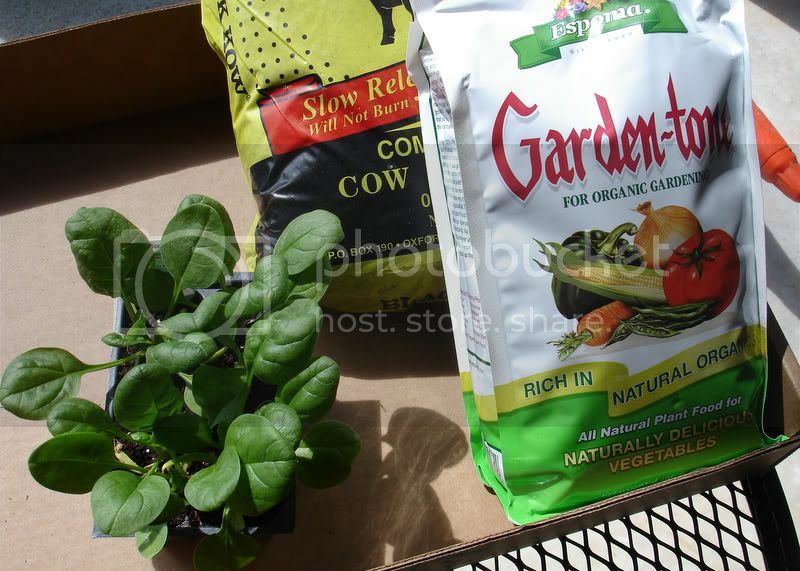 Come April 15th I will be planting an heirloom tomato, cucumber, peppers, basil, dill, mint, celantro, chives. Some I have started already inside from seed. Others I will buy seedlings at places like Logan's or at the farmer's market. There are some nice vendors at the Wake Forest Farmers' Market who sell seedlings. I think that market should be up an running soon. Or you could pick up some at the Wake Forest Herb Fest. There is usually a booth at the Wake Forest Farmers' Market with a "Master Gardener" giving out free advice too. If you like to listen to people talk about local gardening or want to call in with a question check out the "Weekend Gardener" Show which is on the localAM radio at 680 AM WPTF every saturday morning from 8-11am. By december, you'll never be able to stand the taste of basil again. What a nice neighbor! You have a nice back a yard also. The garden will be great! I can't wait to have the space you have for a proper garden. I got tomatoes and bell peppers at the farmers market last year. The peppers produced until late fall. what I learned last year...when you see really pretty caterpillars on the tomatoes do not have a soft heart and transfer them to another plant. They will eat your whole tomato plant..